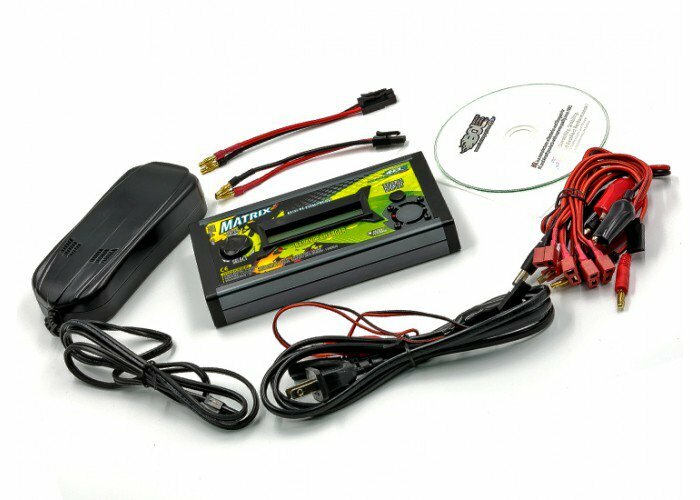 BOL Matrix Battery Charger is an excellent charger to purchase for new and veteran Airsoft players. The charger can change majority of the batteries currently available on the market from NiMH to Lipo batteries. The Charger includes a 16x2 Dot Matrix Graphic LCD display with gentle white backlight, an all-in-one device that combines charging, discharging and cell balancing functions for battery packs and Capacity limit protection preventing over-charging of batteries. This charger is a must have for all Airsoft players. Yes, this will charge it.